With Nokia 6, Nokia phones and Android™ Nougat are united to create an outstanding smartphone that's built to last. Crafted from a single piece of aluminium, it's as beautiful as it is strong. 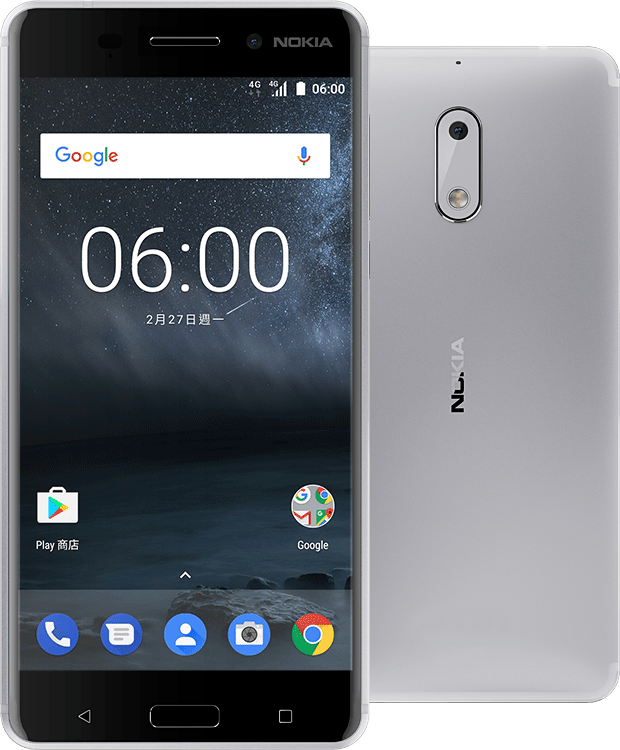 And with sculpted Corning® Gorilla® Glass to protect it against accidental drops, the new Nokia 6 is your confident companion for life's many challenges. With the f/2.0 aperture 16MP phase detection auto focus camera, built-in scene detection and a dual LED flash that gives natural colours and skin tones, great pictures are just a shot away. And for selfie lovers, an 8MP front-facing camera has got you covered. With a dual speaker system powered by its premium amplifier, the Nokia 6 delivers louder sound, deeper bass and unmatched sound clarity. And built-in Dolby Atmos® technology surrounds you with audio that flows with breathtaking realism. 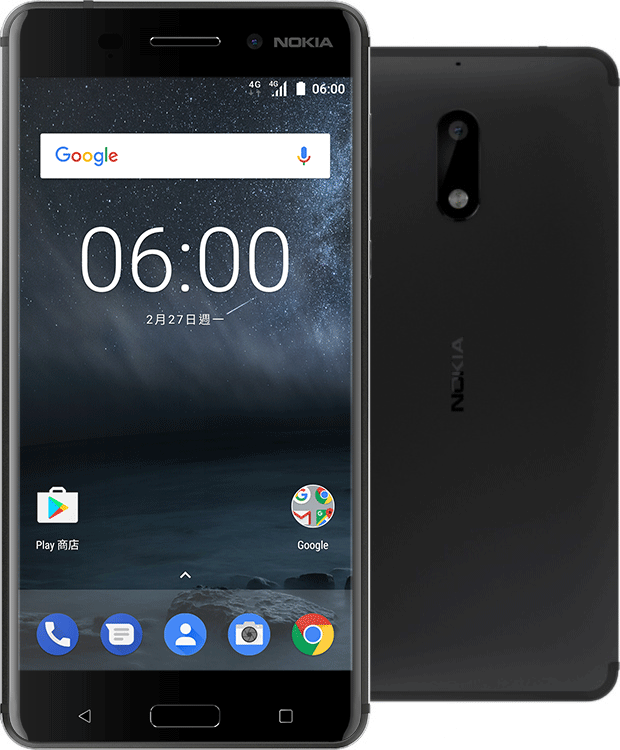 Nokia 6 with The latest Android™ OS spares you the clutter of skins and unnecessary preloads while a fast fingerprint sensor and software updates keep your phone secure. And with the latest Android™ Doze technology to reduce battery consumption when you're not using your phones, you’re free to roam in confidence, wherever you go. Product supply may differ from regions to regions. Please check the local supply condition. Call time and standby time are only for reference.Actual call time and standby time may differ depending on the use, setup and other factors. Performance and specifications are subject to change without further notice. 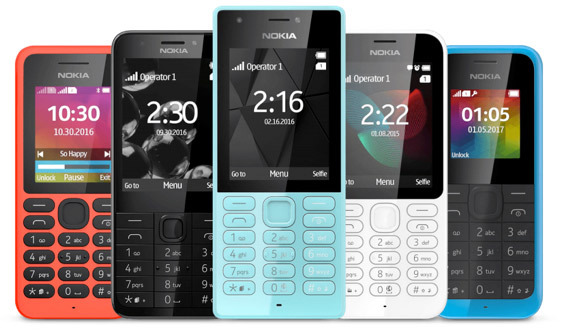 We’re busy working on Nokia smartphones running Android™. Sign up below and we’ll keep you posted on what’s next.